If you find the joy of motherhood eluding you in the months postpartum, you are not alone. Mild feelings of sadness and depression are so common they have earned the nickname “the baby blues.” However, an unfortunately large number of women endure the more serious mood disorder known as postpartum depression (PPD). According to the American Psychological Association, 1 out of 7 women experience PPD after childbirth. And the other unfortunate truth is that these feelings of depression and anxiety don’t always clear up on their own, but instead have a nasty habit of lingering or even worsening over time. The bottom line is this: if you are experiencing waves of dark feelings or anxiety, SEEK HELP. Now is a time to lean on your support network of friends and family, and it is also a time to get help from healthcare professionals. In terms of healthcare, in this article I will be specifically focusing on a valuable resource that many women may not think of for PPD, which is Traditional Chinese Medicine. What are the signs and symptoms of Postpartum Despression? If you are having thoughts of harming yourself or your baby, you can reach the Suicide Prevention Hotline at 1-800-273-8255 or www.suicidepreventionlifeline.org. Thoughts of harming yourself or your baby may also be a sign that you are experiencing postpartum psychosis, which can present with racing thoughts, mania, hallucinations, delusions, and paranoia. Postpartum psychosis is a very serious condition that warrants emergency medical care. Physiologically, there are a number of compounding factors that can predispose women to a state of depression after childbirth, including hormone fluctuations, physical exhaustion, sleep deprivation, and trauma surrounding childbirth. First of all, there is a significant rebalancing of hormone levels that occurs as the body adjusts back to a non-pregnant state. During pregnancy the body is awash with elevated levels of both estrogen and progesterone, for example, which are secreted by the placenta. After delivery, the abrupt drop in these and other hormone levels can cause a sudden, unexpected crash in mood at the very moment when women have anticipated feeling overjoyed and blissfully happy. The stark contrast between women’s expectations of bliss and the bleak reality of their sadness or despair only serves to heighten the distress caused by the situation and can furthermore trigger feelings of shame and inadequacy. Another contributing factor to postpartum depression is physical exhaustion. Even with the best possible nutrition, nurturing a child in utero taps the body’s resources, and the already taxing experience of pregnancy then culminates in the further taxing experience of childbirth. A range of elements can contribute to physical exhaustion after labor and delivery including protracted labor, high physical exertion coupled with low caloric intake, sleep deprivation, major blood loss, and surgical intervention. Even after the smoothest of deliveries, a woman’s physical resources will be low, and this state of vulnerability is her starting point for the marathon of caring for a newborn. Without deliberate care and rest, women are at risk of becoming further depleted as the weeks and months pass. Communities in many cultures around the world honor the necessity of proper postpartum care, lavishing mothers with support, vitality-boosting meals, and ample opportunities to rest. According to Heng Ou of The First Forty Days, this rest period typically spans the first 3 to 6 weeks postpartum, and it plays an essential role in ensuring a mom’s return to physical strength and mental wellbeing. However, many of us are not so lucky to have this built-in culture of family and community support. We may instead find ourselves more or less alone, possibly harboring a belief system that we should be able to do it all without much outside input. And the result is overwhelming. What should I do if I am experiencing PPD? If you are experiencing postpartum depression, self-care is essential, and it starts with reaching out for help. Engaging a support network of loved ones, caregivers, and medical professionals is a vital step toward ensuring that your basic needs are met for sleep, sustenance, emotional support, and mental wellbeing. Any expectation that you can or should be able to take care of yourself and your infant without help and not deplete your emotional and physical resources is unrealistic. Enlisting family and friends to bring home-cooked meals, wash your dishes, and cradle your infant for 30 minutes (or a few hours) may seem difficult if you are unaccustomed to asking for help, but it is a powerful acknowledgement to yourself that you deserve support, and, ideally, it reduces the obstacles to daily self-care. Initiating self-care activities can be a huge challenge when you are feeling depressed, not to mention the fact that there is little time for self-care when you are responsible for a newborn. So getting some outside support may at least open the door for you to get back to neglected necessities like napping and showering, or even to indulge in luxuries like listening to a guided relaxation or soaking in the tub with your favorite essential oils. Another resource to consider is a postpartum doula. Hiring this type of caregiver is an excellent way to lighten your load as a parent while easing the inevitable anxieties surrounding infant care, especially if it is your first child. Doulas can coach you through breastfeeding issues, assist with childcare, run errands, and even help with household chores. They can also help talk you through any parenting worries or concerns that you have and point you toward other community resources that you may need. Finally, you will absolutely want to engage the support of medical professionals. This may mean reaching out to your obstetrician or midwife, your primary care provider, a clinical psychologist, a psychiatrist, and/or a Chinese Medicine practitioner. Given that the causative factors in postpartum depression are varied and each woman’s situation is unique, I am a proponent of an individualized approach to care. Pharmaceutical antidepressants and psychotherapy may be appropriate initial treatments for women experiencing PPD who have a history of mood disorders or a family history of mental illness. If you fall into these categories or are experiencing a severe case of PPD, it is important to alert your physician and therapist right away. Moreover, as previously stated, any symptoms suggestive of postpartum psychosis warrant emergency medical care. However, in a large number of cases, Chinese Medicine is an appropriate first line of defense that delivers a satisfying resolution of symptoms. It is a non-invasive, holistic approach to wellness that is designed to restore balance to the body. 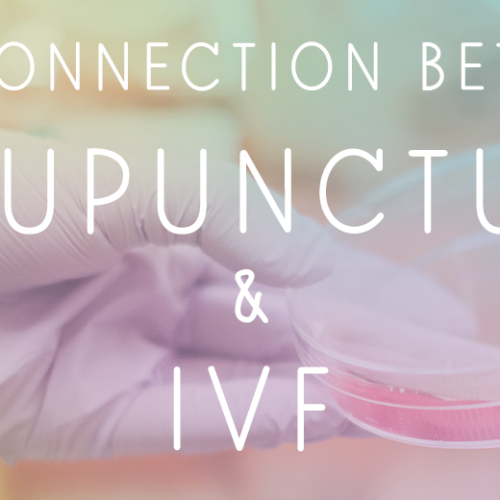 Why is Chinese Medicine + Acupuncture so successful in treating and preventing Postpartum Depression (PPD)? Whether being used to alleviate acute Postpartum Depression, treat chronic PPD, or prevent the development of PPD, acupuncture and Chinese herbal medicine are effective treatments due to their unique ability to target the root cause of the disorder. 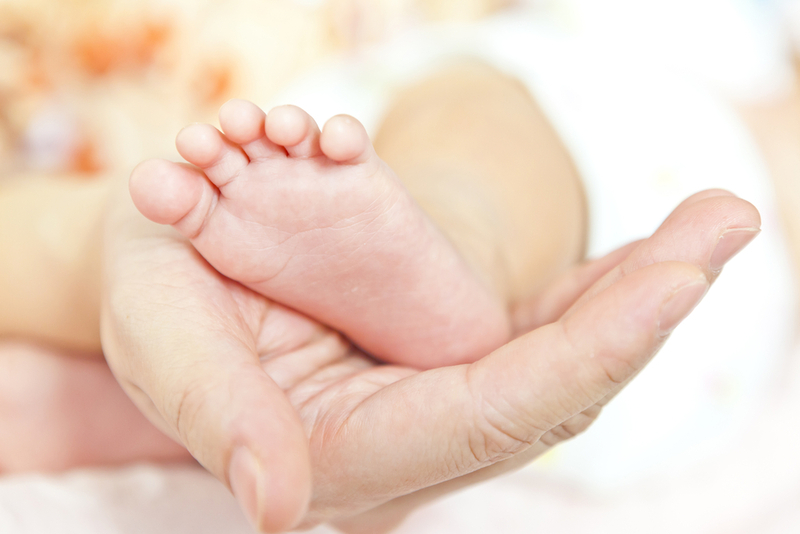 Practitioners are trained to perceive subtle changes in a patient’s physiology and symptom presentation which reveal the underlying physical imbalances responsible for postpartum mood changes. This ability to treat the root cause also explains why Chinese Medicine is such effective preventative care for PPD. Small imbalances can be caught and corrected before they have the chance to magnify to the point of manifesting as serious symptoms (e.g. full-fledged postpartum depression). Indeed, herbal medicine—in addition to proper rest and nutrition—is widely used in China as an integral element of care during postpartum convalescence to ensure that women stay mentally and physically healthy after childbirth. Postpartum herbal formulas are made of synergistic combinations of herbs that produce strongly restorative physiological effects by replenishing micronutrients, promoting tissue repair, enhancing circulation, and boosting cellular metabolism. Recommended treatment plans typically include daily herbal medicine coupled with weekly acupuncture visits. Your full course of treatment may range from a few weeks to a few months depending upon the severity of your presentation and duration of symptoms. In any case, you should begin to see positive changes within the first few weeks of your treatment. If your condition is not responsive to treatment with Chinese medicine, your practitioner may refer you to your physician or therapist to explore other treatment options, one of the most common being selective serotonin reuptake inhibitor medication (SSRIs). Have patience and compassion for yourself if you are going through postpartum depression. It can be an incredibly disorienting and frightening experience, and it is all too often compounded with feelings of isolation, shame, and guilt. Know that PPD is a genuine medical condition with distinct physiological causes. It deserves prompt medical treatment and it often signals a need for increased community support and self-care. Many women also benefit from joining postpartum support groups, which provide a safe space to share experiences and connect with other mothers. For more help navigating PPD, including a list of resources in your area, check out Postpartum Support International. To schedule an appointment at Well Woman Acupuncture in either our Boulder or Longmont office, call us 303-499-1965 or schedule online. If you would like to work with us but don’t live in Colorado, we also offer herbal consultations by phone and we will mail your custom herbal formulas right to your doorstep. Finally, if you are uncertain if Chinese Medicine is a good fit for you, we would be happy to answer your questions during a free 15-minute phone consultation.